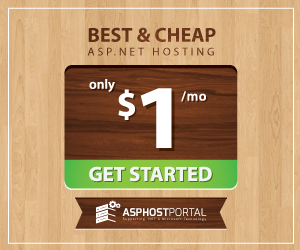 BestASPNETHostingReview.com | Best and Recommended Cloud ASP.NET 5 Hosting. Recently ASP.NET 5 RC 1 was released and in this post, we shall be taking a look at what’s changed in Visual studio solution explorer and various configuration files, what’s removed and what’s new added. If you have created an ASP.NET 5 beta web application, then you must have noticed many configuration files like bower.json, package.json and hosting.ini were present. And according to ASP.NET team, solution explorer was bit crowded. So these files are by default not present in solution explorer. See below image for comparison. So does that mean that all these configuration files are gone? The answer is “NO”. They are pretty much available but are hidden by default. Once you press “Show all files”, you will see those files. Though the bower and package json files are present but hosting.ini file is missing. For those, who don’t know what “hosting.ini” was and why it was included previously? The answer is, hosting.ini file had information about self hosted environment. By default, there were only 2 lines of code. And this file was used by Project.json file’s command section. I had already posted a detailed overview of Project.json and its various sections. Since the hosting.ini is removed so now it means that default configuration of the host listening on port 5000 will be used. Now they recommend a hosting.json file be used instead of hosting.ini. However, I noticed that hosting.json is not present by default. One may need to add it manually. and in the ASP.NET 5 RC1, you won’t find this. Since Bower is already adapted by Visual Studio so now similar to Nuget package manager, you will also see bower package manager to install and manage client side packages. Since they introduced bower package manager, so all related package which you can install using bower, the nuget will show incompatible and advice you to use bower package manager. That’s all folks. Keep visiting for updates and share this in your network. Please put your thoughts and feedback in comments section. This entry was posted in ASP.NET Hosting News, ASP.NET Hosting Tutorial and tagged best and cheap asp.net 5 hosting, best and free asp.net 5 hosting, best and recommended asp.net 5 hosting, best asp.net 5 hosting, cheap and reliable asp.net 5 hosting, cheap asp.net 5 hosting, recommended asp.net 5 hosting. Bookmark the permalink.